The fate of Lucky the Elephant, the jewel of the San Antonio Zoo, is now in the hands of a Texas court, as it has given the green light to a lawsuit seeking her removal after 53 years. However, Lucky’s fate may be sealed, as she could die if her zoo loses the fight. The Animal Legal Defense Fund (ALDF), a legal advocacy organization for animals, and three citizens are demanding “a Healthy and Happy Retirement” for Lucky, who they claim is forcefully kept in solitude by the zoo. On Friday, the ALDF celebrated its first victory, as its lawsuit against the San Antonio Zoo survived a dismissal motion in the US District Court for the Western District of Texas. Judge Xavier Rodriguez rejected the zoo’s argument that the fund, as private citizens, had no standing in filing the suit because only the US government had such powers. “ALDF’s lawsuit seeks to end the Zoo’s unlawful confinement of Lucky and asks the Court to order her retirement to sanctuary, where she can socialize with other elephants and enjoy a much larger, species-appropriate habitat,” the fund said. “We want her to live out her life living as an elephant should—with other elephants in as natural an environment as possible,” the ALDF said. However, Lucky may be not so lucky if the fund wins and she leaves the zoo – her home of 53 years. The San Antonio Zoo “exposed the truth” on its WeLoveLucky page. 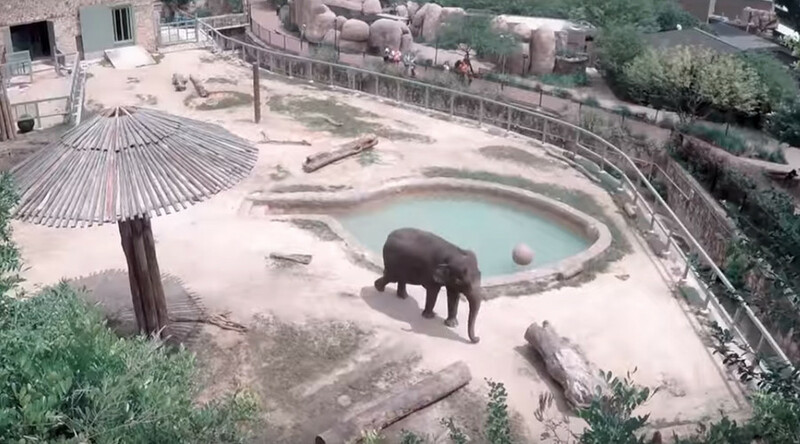 The zoo explained that Lucky is the last Asian Elephant they have and they will continue to keep taking care of her 24/7 despite renovation plans. While the zoo does not plan to bring in any more Asian Elephants, an endangered species, it is making sure that Lucky gets all that she needs. Relocation to a new facility is something Lucky definitely does not need, according to the zoo. In fact, she may not survive the journey in a truck across the country or the stress of adapting to a new habitat, the zookeepers said. The zoo has been trying to find a new friend for Lucky. However, all attempts thus far have been unsuccessful. “We have seen in the past that a perfect companion on paper does not [make] a perfect companion in reality,” it said. Either outcome – a new friend or a new home – could lead to “serious harm” to Lucky and even an early death. “Currently Lucky is 55 years old and has outlived the expected lifespan for her species by 9 years! This in itself is testament to the world class care she receives here,” Lucky’s caretakers said.